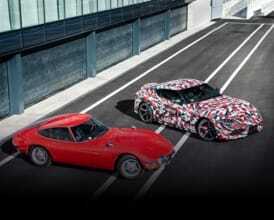 Following the successful launch of country-specific reservation platforms in October 2018 and ahead of its European premiere at the Geneva Motor Show, every Toyota GR Supra intended for delivery in 2019 has now been reserved across major European sports car markets. After a 17-year absence from the market and due to an overwhelming appetite from enthusiasts for a sports car that delivers a pure driving experience, high demand for the Toyota GR Supra has led to a waiting list that runs into the thousands, ensuring reservations will shortly re-open for 2020 deliveries. The new Toyota GR Supra’s front-mounted, in-line six-cylinder engine has all the ingredients to stimulate your senses. At home on road or track, our high-performance sports car delivers 340 hp from its 3.0-litre turbocharged engine, for seamless power and instant response. 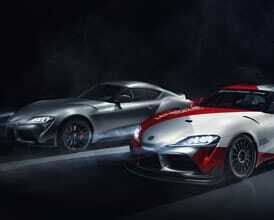 Introducing the Toyota GR Supra A90 Edition. Finished in a dramatic new Storm Grey matt paint with 19-inch matt black alloy wheels and red leather upholstery, the A90 Edition is a celebration of Supra heritage and is limited to just 90 examples. 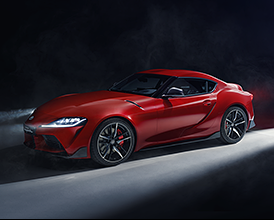 The Toyota GR Supra A90 Edition is offered exclusively to the very first European customers who have already placed a pre-order. The first global GR model to be produced by TOYOTA GAZOO Racing, the new Toyota GR Supra draws on lessons learned from competition at the highest level to make it a pure sports car that's in its element on track – at the limit – or exploiting your favourite road. The Supra is arguably Toyota’s most famous sports car name. 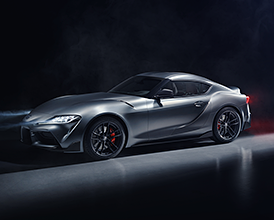 With legendary roots that can be traced back to the beautiful Toyota 2000GT of the ’60s, and more recently the role it's played in film and popular culture, the Supra has inspired people of all generations around the world.